How to make your cake more decadent in two simple steps! This would take the place of icing on a cake. My go-to cake flavor for this topping would be chocolate (Oscar’s would be divine! ), but a white cake would also be really delicious with this topping as well. Mix with fork till crumbly. Spread over cake after baking. 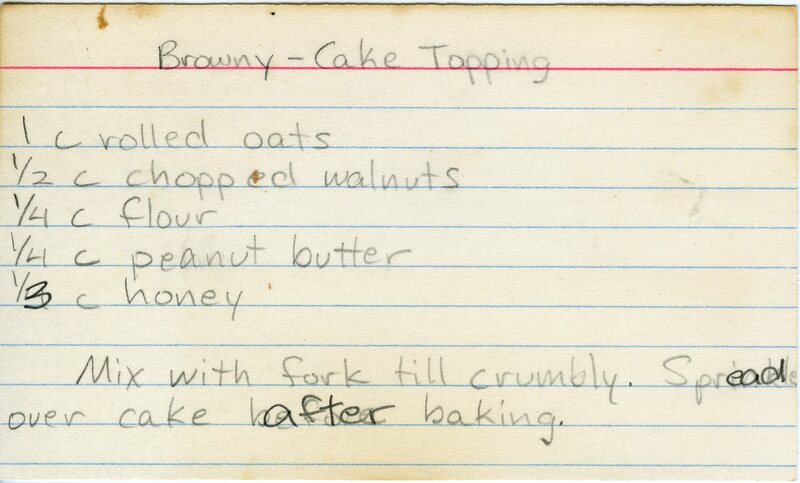 Sounds yummy – I think I would use pecans, and make a double recipe for my cake! Whether all of got to the cake – that’s another question.